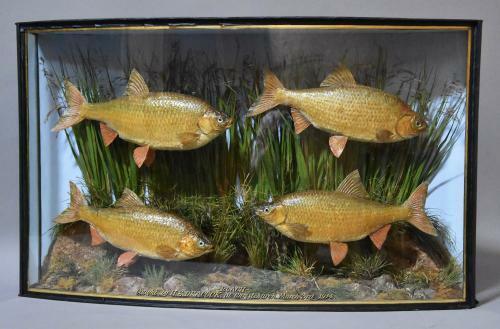 The interior of the case has a pale blue backboard, the fish mounted in a naturalistic setting of reeds and river plants and rock base. This case can either be secured to a wall or be displayed as a freestanding piece. This case is in very good original condition.